IN768. 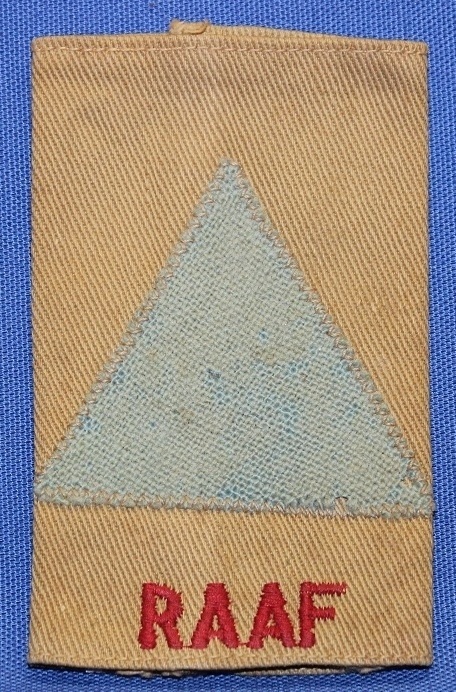 Khaki sleeve insignia for the drab uniform. IN1667. 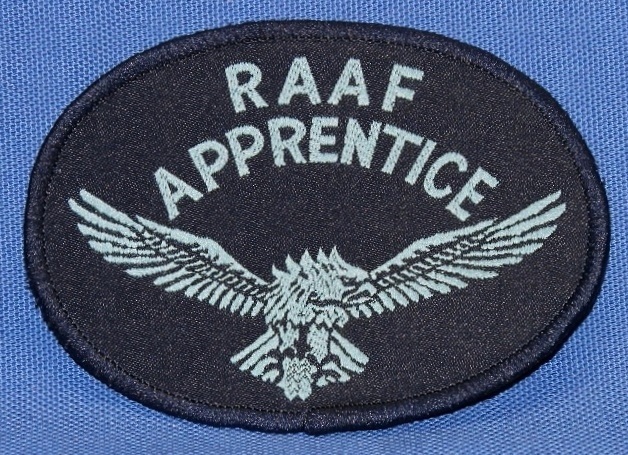 Khaki sleeve insignia for a leading apprentice worn on the drab uniform. 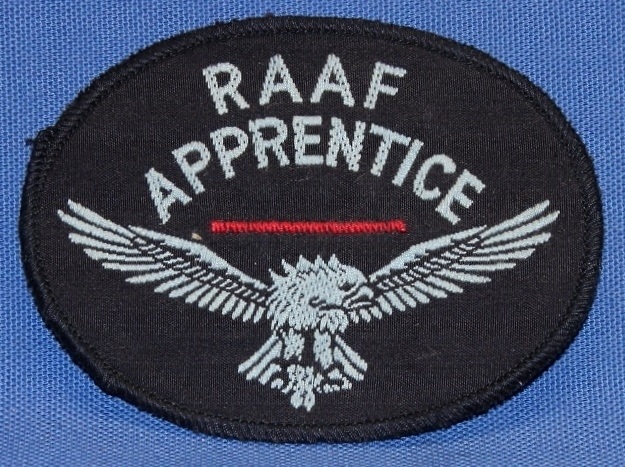 The red horizontal strip, on the shoulder patch, was first introduced in 1963 for a SENIOR, or third year Apprentice. IN769. Small dark blue sleeve insignia for wear on overalls? IN770. 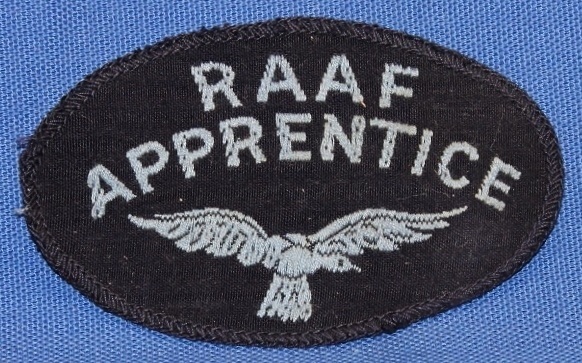 Small dark blue sleeve insignia for a leading apprentice for wear on overalls? 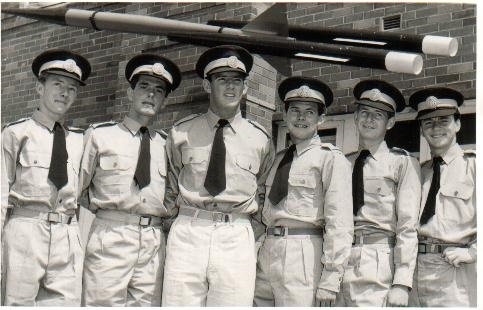 The red horizontal strip, on the shoulder patch, was first introduced in 1963 for a SENIOR, or third year Apprentice. IN771. 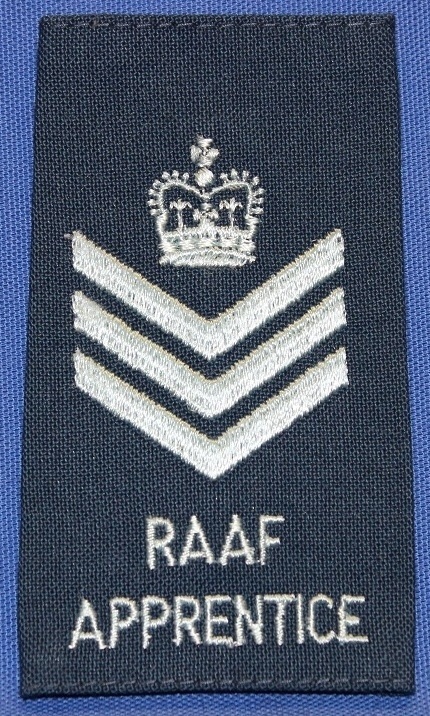 Large dark blue sleeve insignia for wear on overalls? IN772. 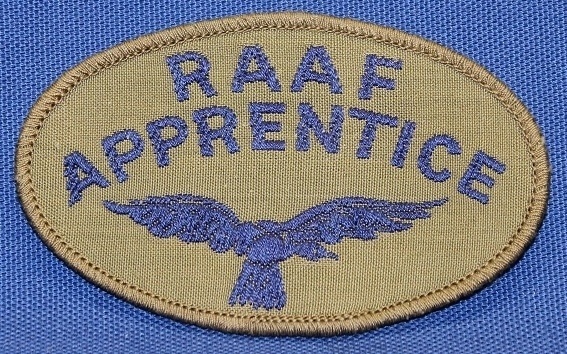 Large dark blue sleeve insignia for a leading apprentice for wear on overalls? 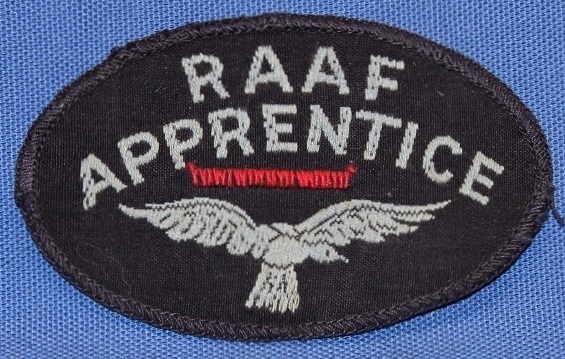 The red horizontal strip, on the shoulder patch, was first introduced in 1963 for a SENIOR, or third year Apprentice. IN773. 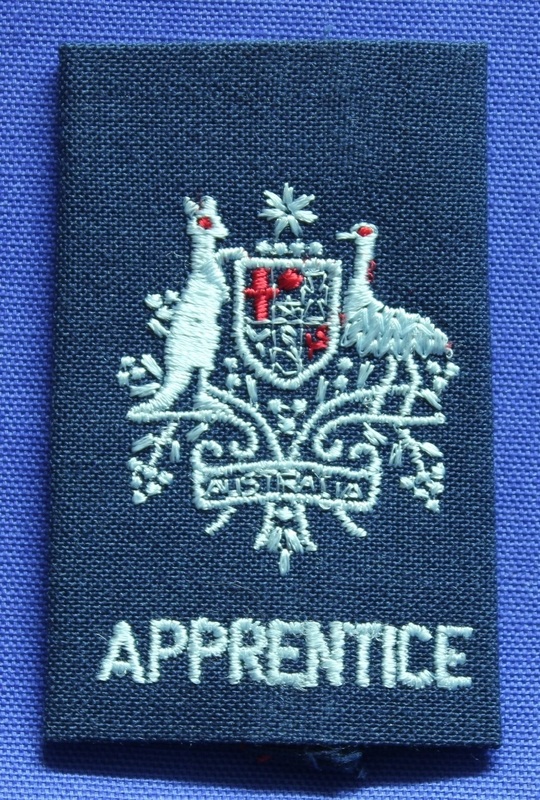 A drab epaulette slide worn by Technical Apprentices on the drab uniform. IN774. 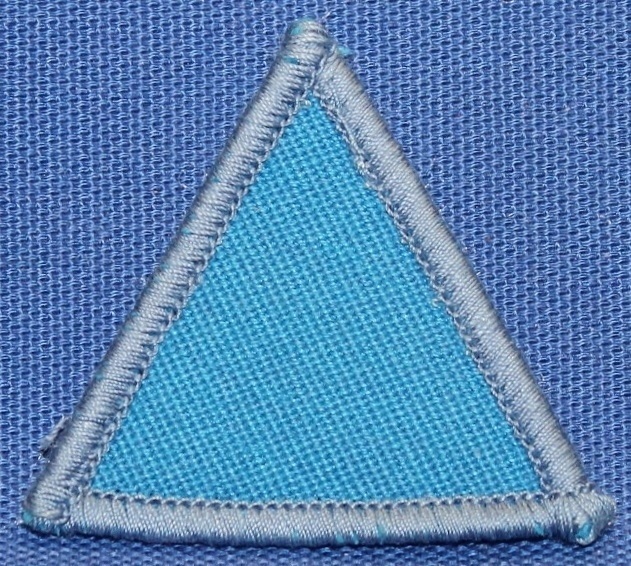 A light blue triangle worn by Technical Apprentices on the All Seasons blue/grey uniform. IN775. 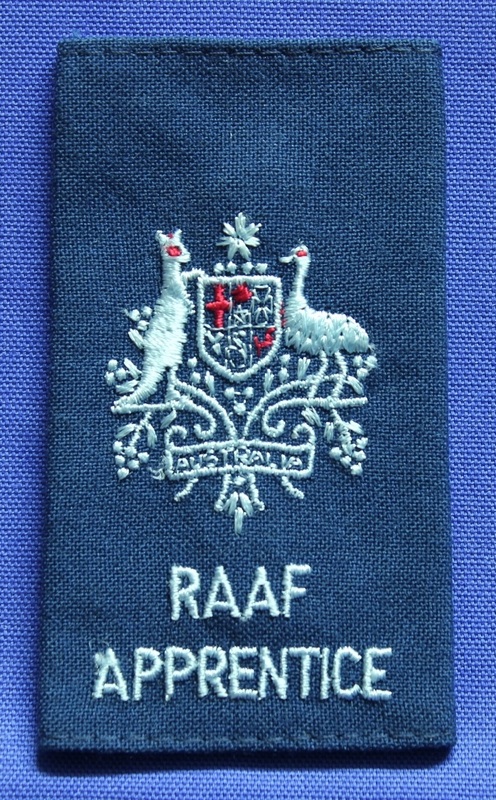 Epaulette slide worn by apprentices on the blue shirt as part of the All Seasons uniform, 1972 to 1993. IN728. Raw edge shoulder title for the All Seasons uniform worn 1972 - 1993. IN767. 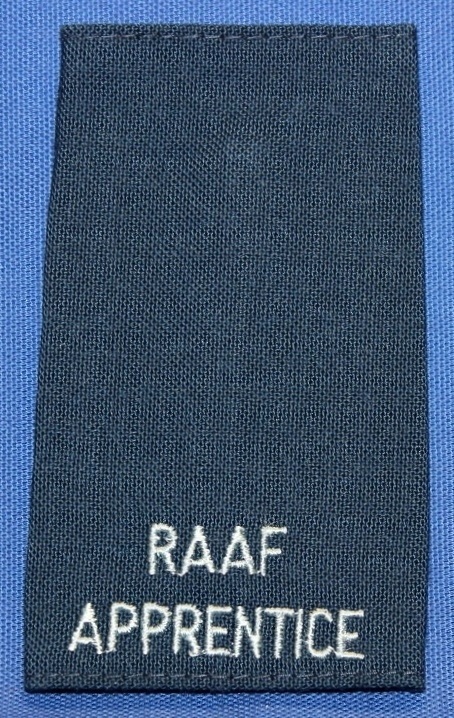 Sewn edge shoulder title for the All Seasons uniform worn 1972 - 1993. IN379. Unfinished rank slides 1972 - 1993. IN380. 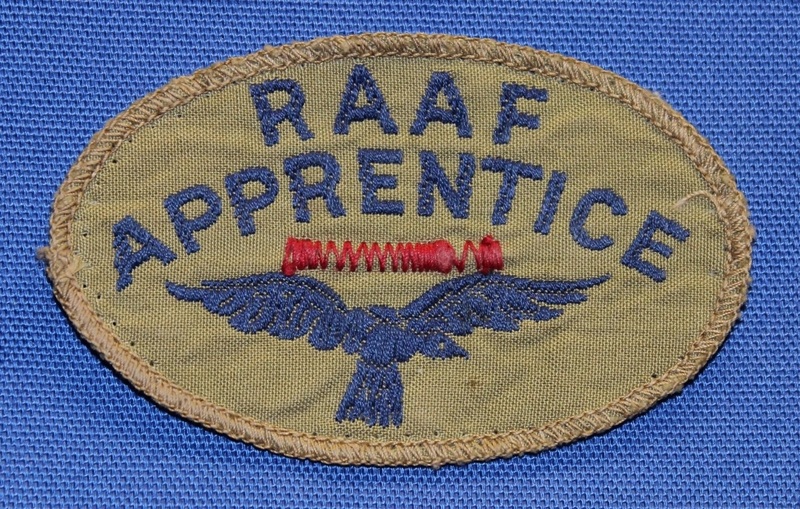 Aircraftman rank slide 1972 - 1993. IN593. 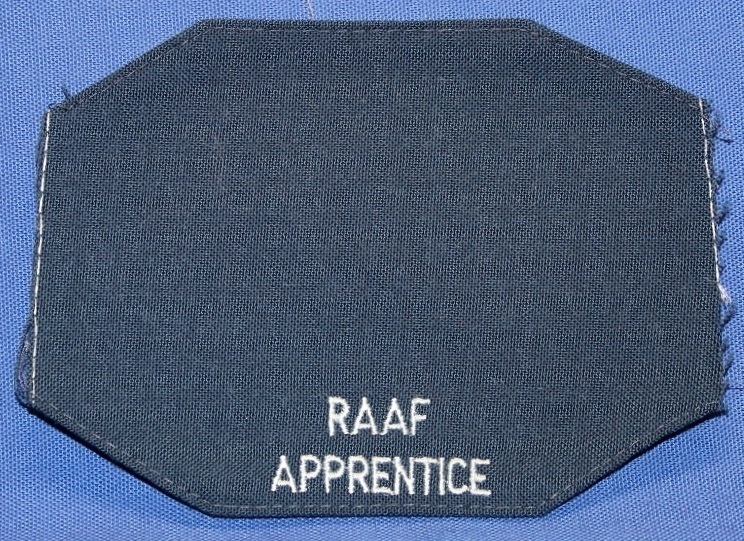 Leading Aircraftmen rank slide 1972 - 1993. IN594. 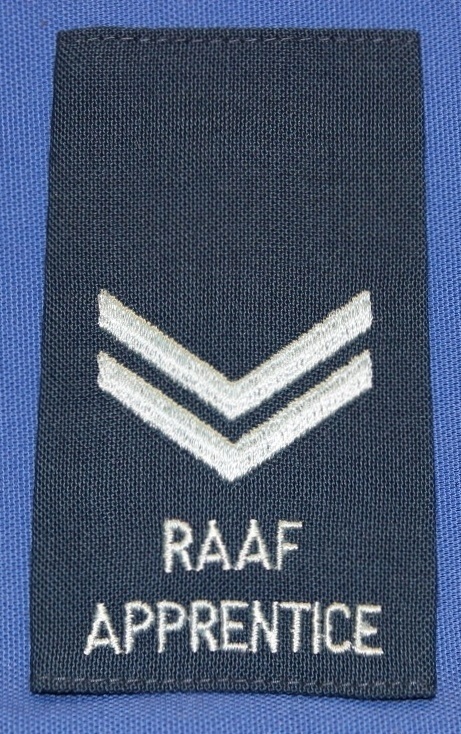 Corporal rank slide 1972 - 1993. IN595. 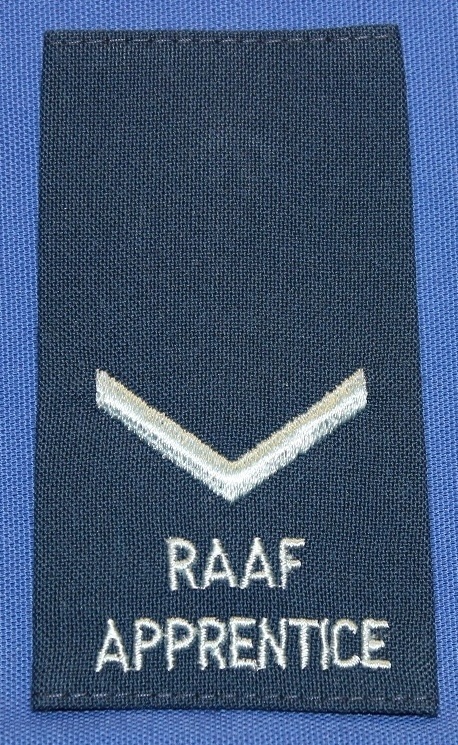 Sergeant rank slide 1972 - 1993. IN596. 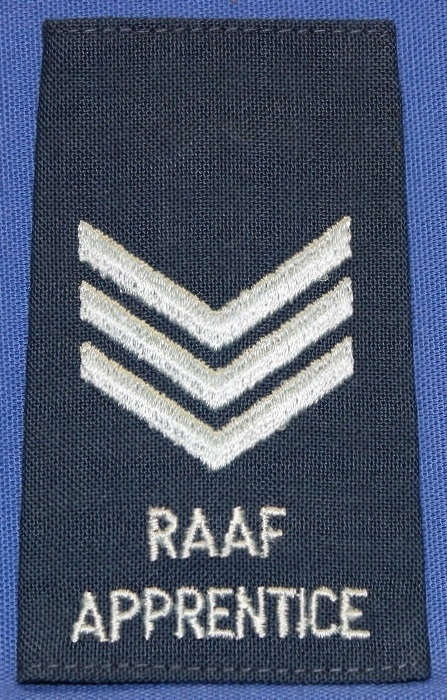 Flight Sergeant rank slide 1972 - 1993. IN1265. Warrant Officer rank slide 1972 - 1993. IN1266. 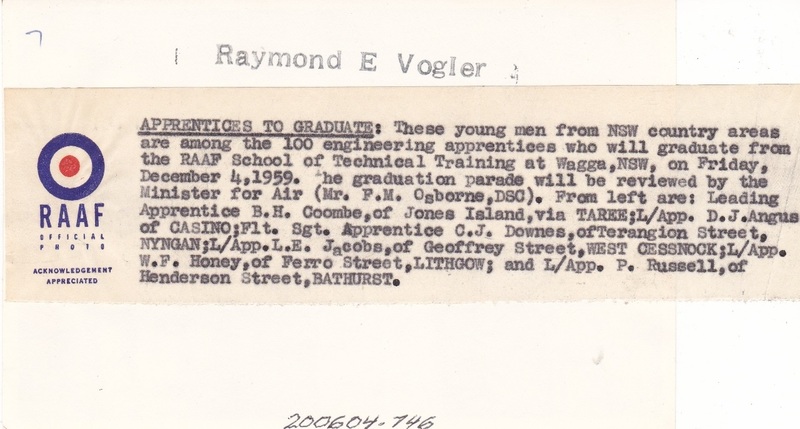 Short version of the Warrant Officer rank slide 1972 - 1993.